Panderfest: The Department of Justice is setting up a public email address for tips on George Zimmerman. 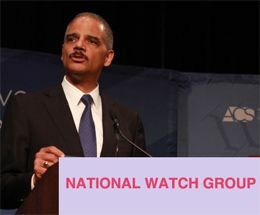 Amid pressure from the NAACP and several Democratic lawmakers to pursue Zimmerman, the department has set up a public email address asking for any tips or information regarding the case. Anderson Cooper's interview with Juror B-37 is airing now. Some thoughts as I'm watching. Juror B-37 said it wouldn't have made any difference if GZ had testified. The result would have been the same. To me that furthers the argument the state miscalculated by introducing his police interviews, re-enactment, and particularly his Hannity interview. 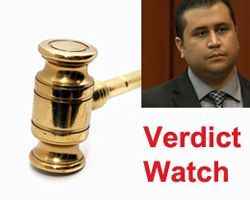 The mistakes of the prosecution in the George Zimmerman trial began with overcharging Zimmerman with second degree murder. But they went far beyond that. USA Today has a new article, Experts: Prosecutors Failed to Humanize Trayvon Martin. While the state played the emotion card hard in closing, there was a disconnect and the jury wasn't swayed by it. Why? 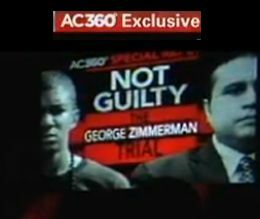 Because one thing the jury never got to hear was the story of who is Trayvon Martin? He was never personalized or humanized. The interview of George Zimmerman juror B-37 on Anderson Cooper last night was extraordinary for the detail the juror provided about the deliberations process. Shorter version: Zimmerman acted in self-defense. He was credible. Race was not a factor -- the jurors never even discussed race. Martin attacked Zimmerman. 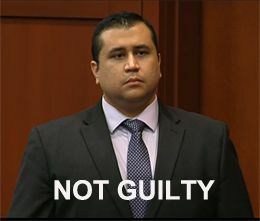 5 of the 6 jurors believed Zimmerman was screaming. The sixth wasn't sure, she thought it might be Martin. Zimmerman did not act from ill-will or hatred. If anything he was over-eager to help others, which is indicative of a good heart. Updated to reflect the original article has been edited to make clear B-37 signed with a literary agent who is seeking a deal for her book, but she doesn't actually have a book deal yet. Zimmerman juror B-37 and her husband have a literary agent who is seeking offers for their book on the George Zimmerman trial. What a surprise (not) - her husband is an attorney. 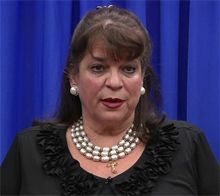 HLN Angela Corey Interview: Calls Zimmerman a "Murderer"
HLN is promoting an interview with Angela Corey and Bernie de la Rionda tonight in which the preview has Corey describing George Zimmerman as a "murderer." Poor choice of words. Not every killing is a murder. Some are excusable, some are justifiable, some are murder. A killing that is excusable or was committed by the use of justifiable deadly force is lawful. If you find Trayvon Martin was killed by George Zimmerman, you will then consider the circumstances surrounding the killing in deciding if the killing was Murder in the Second Degree or was Manslaughter, or whether the killing was excusable or resulted from justifiable use of deadly force. Here's what I wrote last week on the legacy of the George Zimmerman case. It's as true today as it has been for the past 16 months. The legacy of this case will be that the media never gets it right, and worse, that a group of lawyers, with the aid of a public relations team, who had a financial stake in the outcome of pending and anticipated civil litigation, were allowed to commandeer control of Florida's criminal justice system, in pursuit of a divisive, personal agenda. O'Mara and West at press conference. O'Mara begins by reading a letter he wrote to the Seminole County Sheriff before the verdict thanking him and the department for their excellent security and ensuring the process was peaceful. Don West: The state's actions were disgraceful. Angela Corey is holding a press conference. She has adopted a patient, reasonable tone, speaking slowly and with a smile. Unbelievable: "We believe we brought out the truth about Trayvon Martin." Translation: We respect the jury's verdict but we still think our version, not the jury's version, was correct. Zimmerman: Can the Jury Hear the Protesters? I've been avoiding stories about the protests, I really don't care about them. But with the TV on just now, they flashed on the protesters and they were really loud. Are they right outside the courthouse? Can the jury hear them? I would make a motion to stop the deliberations and either move the jury deliberations or have the protestors move to where the jurors can't see and here them. It's rank intimidation. Also, of course the crowds are more anti-Zimmerman. Guilt-mongerers are not known for their intelligence or emotional stability. 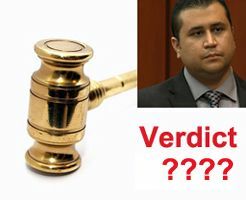 Zimmerman: Is There a Verdict? The media has been moved to the first floor of the courthouse. The jury is finished with dinner. Why would the court have the media wait around if they didn't ask a follow-up question to their first question about manslaughter? Did they resolve it without needing more guidance? The court cannot engage in general discussion but may be able to address a specific question regarding clarification of the instructions regarding manslaughter. if you have a specific question please submit it. What this means: The jury had a question on manslaughter and wanted to ask the judge about it. The jury didn't specify what question they had. The parties submitted case law about the extent to which a judge can meet with a jury to answer questions about the law. They agreed upon a response which tells them they to submit a more specific question and the judge will try to answer it. Update: Sat. 5:55 pm ET: Jurors have a question. Court will reconvene to hear it. Our thread on closing arguments is full, so here is a place to continue the discussion of the trial, the legal aspects of the case and the media coverage while we wait for a verdict. Here are some expanded profiles of the six jurors taken from our forums where readers live-blogged the voir dire. For jury updates, here is the Twitter Feed of Michelle Kennedy, Public Information Officer for the Eighteenth Judicial Circuit. If you are just discovering TalkLeft, please read our commenting rules for this case before chiming in. 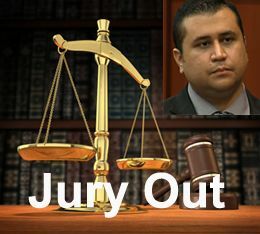 The jury in the George Zimmerman trial has recessed for the day. They will deliberate tomorrow beginning at 9:00 a.m.